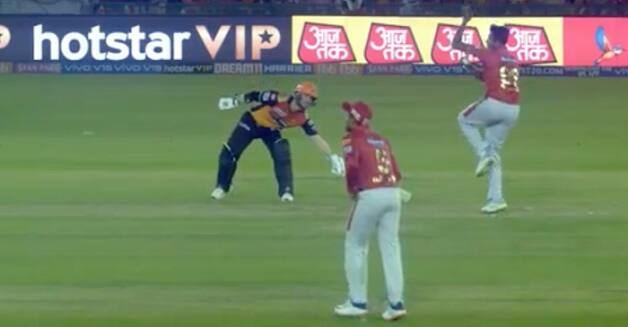 Warner, who was at the non-striker's end, kept dragging his bat inside the safe zone to ensure that he does not become Ashwin's 'Mankad' victim. 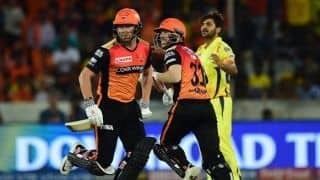 Sunrisers Hyderabad‘s (SRH) David Warner was extra cautious while Ravichandran Ashwin operated in their Indian Premier League (IPL 2019) on Monday, deliberately dragging his bat inside the safe zone to avoid becoming a victim of ‘Mankading’. 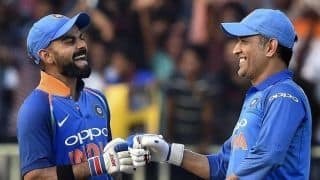 Warner, who was at the non-striker’s end, kept dragging his bat inside the safe zone to ensure that he does not become Ashwin’s ‘Mankad’ victim. 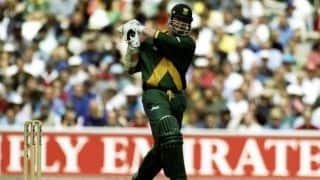 The Australian’s antics was quickly picked up by the cameras and replayed on the big screen. 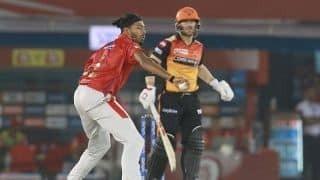 The clip of the incident was later uploaded by the official IPL website.